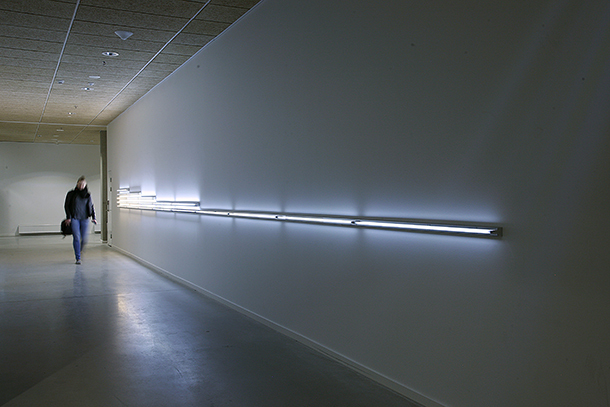 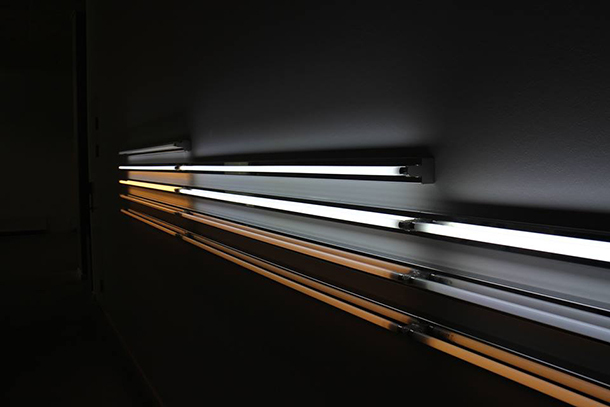 The light work consists of 20 daylight neon tubes in two tones with shifting light intensity. 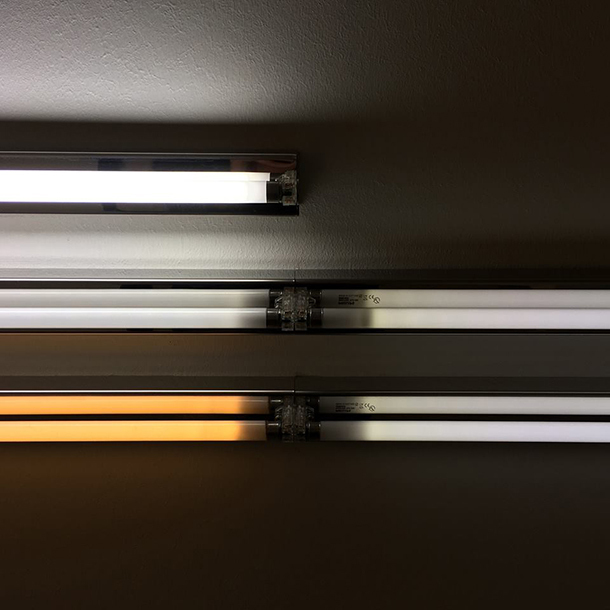 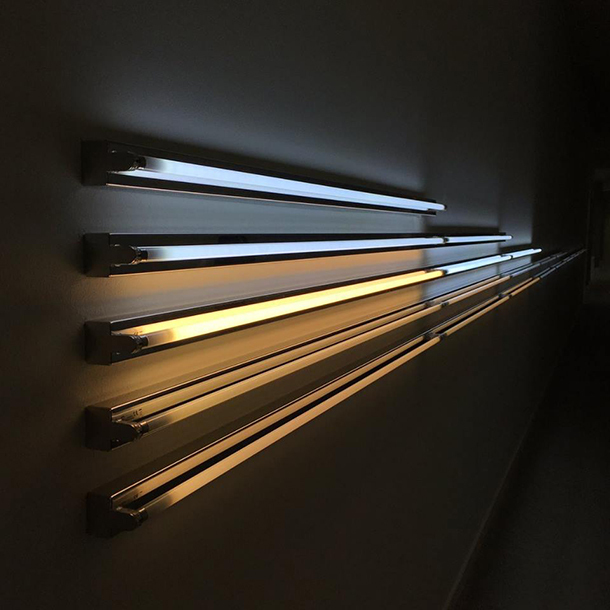 The light intensity of each line of tubes changes individually in an ongoing shift from 0% to 100% back to 0%. 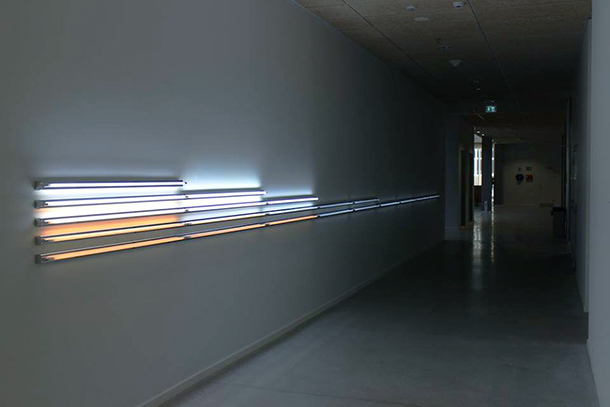 The shift in intensity is defined by an exponential time scheme which results in a 100 second interval for the first line of tubes and a 1000000 second interval for the last line of tubes. 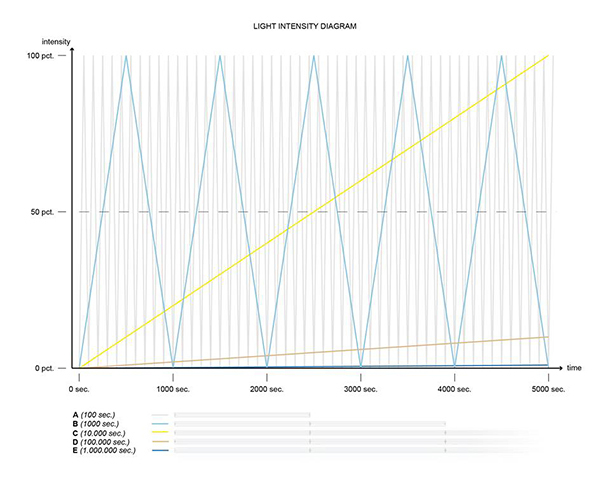 Light intensity diagram from 0 - 5000 sec. 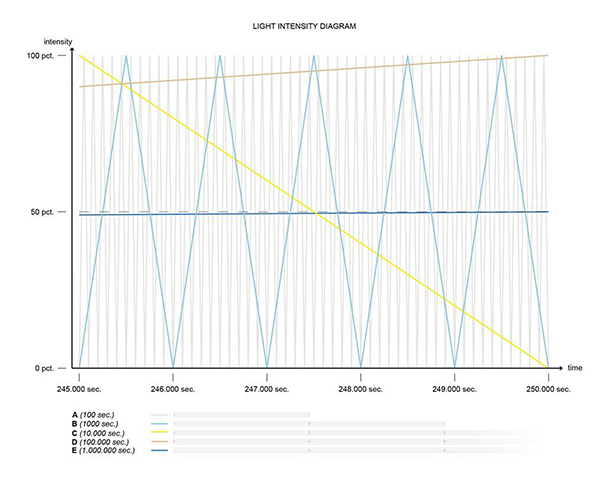 Light intensity diagram from 245.000 - 250.000 sec.